Amalgam fillings, also commonly known as silver or metal fillings, have been used for more than 150 years. As dental technology has advanced, however, these traditional fillings have gradually been eclipsed by a preferable alternative: metal-free composite fillings. At Boston Smile Center & Implant Dentistry in Brookline, MA, Dr. J. Alan Sasson and his team use tooth-colored composite fillings rather than those made of metal in order to provide our patients with the best dental care possible. There are a variety of clear advantages to the patient when mercury-free fillings are used. The most obvious of these is the aesthetic appeal of tooth-colored fillings. Silver amalgam fillings are dark and unsightly, marring the natural beauty of your smile. With composite resin fillings, you can smile, laugh, and speak with complete confidence. 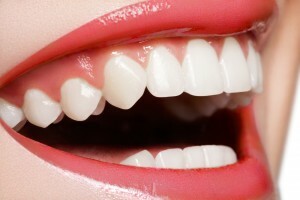 The fillings we use are color-matched to blend seamlessly with the shade of your natural teeth. Another benefit of tooth-colored, mercury-free fillings is the aspect of conservation. When silver and mercury fillings are placed, the tooth affected by decay or other damage must be altered in order to accept the filling. Composite filling placement requires the removal of far less enamel, preserving more of your natural tooth. Though the American Dental Association, or ADA, states that there is no danger associated with fillings that contain mercury, many dentists and patients prefer composite fillings because there is absolutely no risk of exposure to potentially harmful substances. In addition, the use and disposal of composite materials presents no risk of harm to the environment, whereas mercury fillings may prove detrimental to delicate components of our ecosystem. Whether you have old amalgam fillings you would like to have replaced or you are in need of a new tooth-colored filling, Dr. Sasson and his team are here to help. Contact our office in Brookline, MA today to schedule your appointment. We also happily welcome patients from the surrounding areas of Boston, Newton, Chelsea, Cambridge, Somerville, and beyond. We look forward to caring for your beautiful smile! Here at Boston Smile Center, we pride ourselves on being a safe place where people who have experienced all sorts of dental decay or damage can come to experience the support and services they need. Accidents happen; we’re all only human, after all! You don’t deserve to experience embarrassment or humiliation, whether you’re dealing with simple issues like cracks or chips or much more severe problems, such as tooth loss, and that’s why the last thing you’ll ever hear at our Brookline office is unfair judgment. Instead, Dr. Sasson and his dedicated team will work closely with you to ensure that you receive the restorative services that best fit your unique needs. We’ll do our best to erase any damage, restoring health and happiness to your smile and giving you back a sense of self-confidence! Dental Implants – we can take you through the entire process, from implantation to restoration! All-Porcelain Crowns – restore much-needed form and function to your tooth without sacrificing their pearly white appearance. Every appointment at our office will begin with a thorough check-up from Dr. Sasson, where he’ll inspect your teeth and gums for any signs of structural damage or infection. Then, once he has a full idea of the state of your oral health, and he and his team can make suggestions for what kind of treatments would best fit your needs, as well as your budget and available time commitment. We won’t rest until we’ve given you a reason to smile! Contact our Brookline office today to schedule a FREE consultation with Dr. Sasson! We’re committed to providing patients from all walks of life with experienced, personalized care that gives them the healthy, lifelike results they’ve been dreaming of. When you’re missing some or even of your natural teeth, it can be hard to share your smile with the world. You often feel embarrassed, or you’re afraid that people will judge you badly once they notice. Even worse, missing teeth can cause several other problems in your life, from making it difficult to speak and eat to causing your jawbone to deteriorate. You deserve a beautiful and functional smile that will carry you through your later years without a hitch. Here at Boston Smile Center, we want to help you feel comfortable and happy again with the state of your teeth. With the help of dentures and partials from Dr. Sasson and his team in Brookline, MA, you’ll have a complete, natural-looking, and functional smile that will surely brighten your day and everyone else’s. As you probably can guess, a full denture consists of a complete row of top or bottom teeth that are attached to a gum-colored base. They stay in place inside your mouth with the help of either natural suction or a dental adhesive. 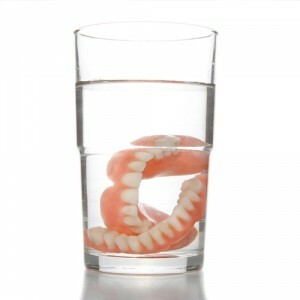 There are several benefits to wearing dentures. You’ll be able to eat and speak much more easily. They’re lifelike, comfortable, and removable, allowing for easy cleaning. Plus, they’ll help rejuvenate the look of your face. Without your teeth, facial muscles can sag, causing you to look older. Full dentures will help alleviate this issue, and may even take years off your appearance! You may have already known about full dentures, but did you know you can also receive custom-made partials from Dr. Sasson? With partial dentures, you can hold onto the natural teeth you still have while receiving a brand-new smile just the same. Partials also consist of teeth that are attached to a gum-colored base, but instead of a full set, they instead feature only the teeth you need, sort of like a puzzle. They’re attached with clips and brackets, and like full dentures, are removable. Don’t let embarrassment hold you back from a stunning smile! Dentures and partials can help rejuvenate your life today, with the help of Dr. Sasson and his team. Call Boston Smile Center here in Brookline, MA today to schedule your FREE consultation with Dr. Sasson. Out of all the dental procedures you could have to undergo, “root canal” is the phrase that strikes the most fear in nervous patients’ hearts. We’ve heard all our lives that root canal treatment is long, painful, and generally a nightmare all around. In fact, you may feel so anxious that you delay your treatment. While some of these rumors may have been true in the past, here at Boston Smile Center, we have the latest analgesics and technologies available to you, resulting in a root canal therapy procedure that is both comfortable and quick. Dr. Sasson and his team are committed to making sure you get advanced and effective treatment at our Brookline, MA office, all while making sure to put your comfort and safety first. Your tooth may look tiny, but it actually contains several layers – an outer coat of protective enamel, a second layer of dentin, and an inner pulp that is known as the “nerve” of the tooth. While this part of your tooth is usually well-protected by the other layers, a very deep cavity or an injury, such as a fracture, can leave the pulp exposed to possible infection. 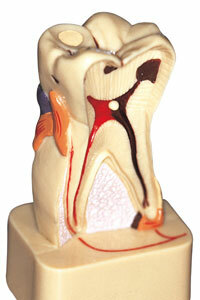 This can lead to a host of serious issues, even extraction of the affected tooth. However, if we catch it in its earliest stages, root canal therapy can save the tooth. Okay, but is it going to hurt? 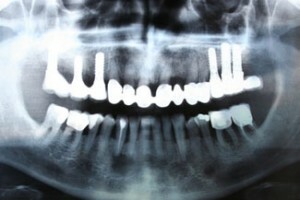 This is far and away the most common question anyone has concerning root canal therapy. Here’s some good news – the answer is no! With the technologies available to us today, Dr. Sasson can complete your root canal therapy after only a few steps, including cleaning out the diseased canal, filling it with a biologically-inert substance, and sealing it so further infection can’t reach it. In most cases, root canal therapy can even be completed in a single visit. Root canal therapy doesn’t have to be scary any longer, and it certainly shouldn’t be avoided. Dr. Sasson and his team here in Brookline, MA are here to provide you with top-notch care, getting you back to smiling sooner. Call Boston Smile Center today to schedule your FREE consultation with Dr. Sasson, or feel free to peruse our website to learn about other dental procedures we can offer you.